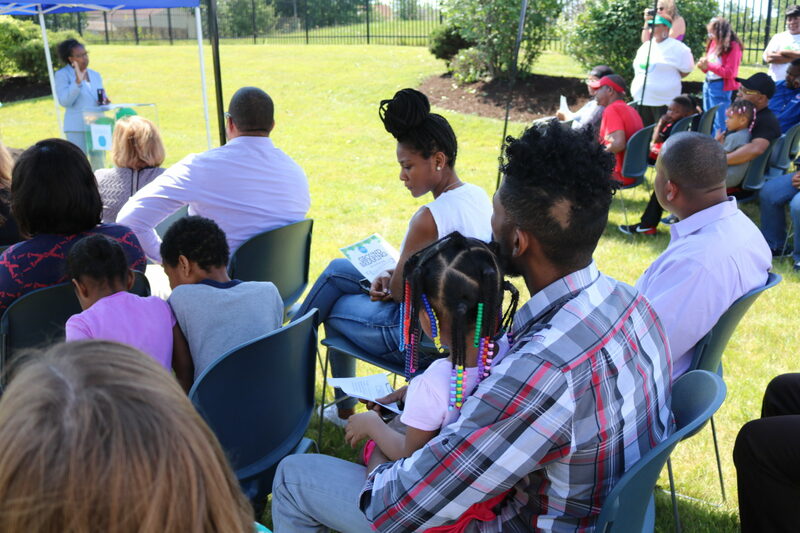 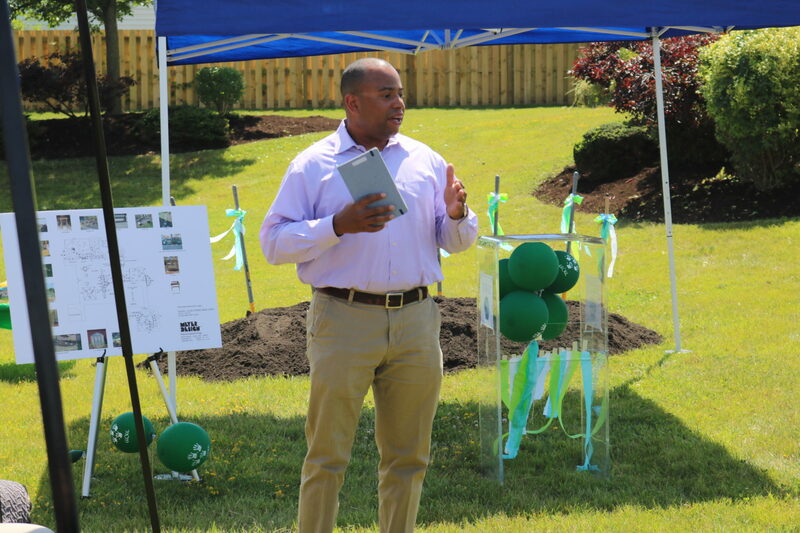 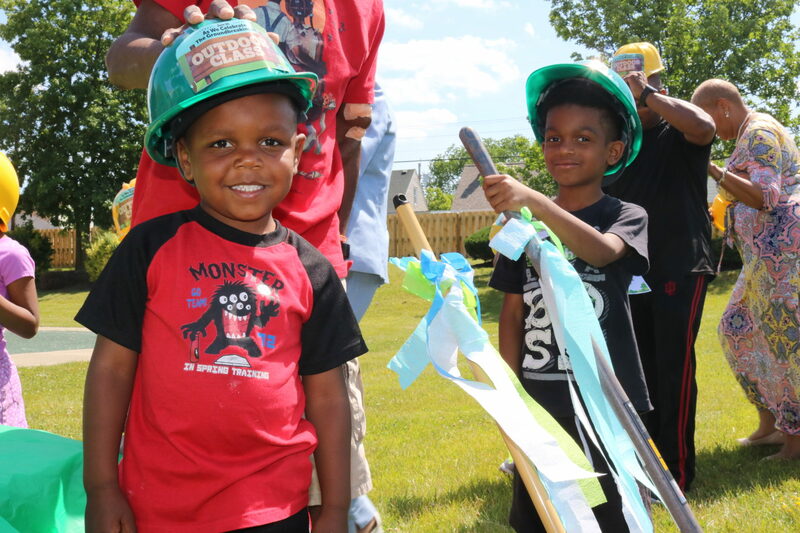 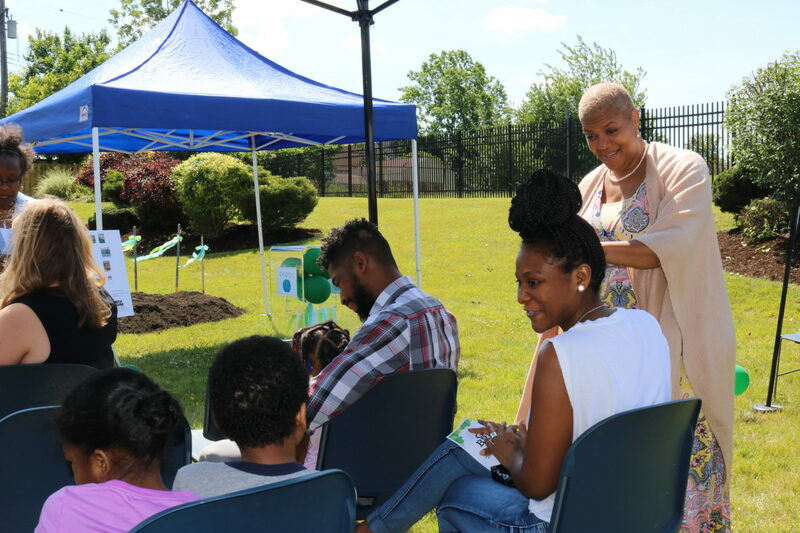 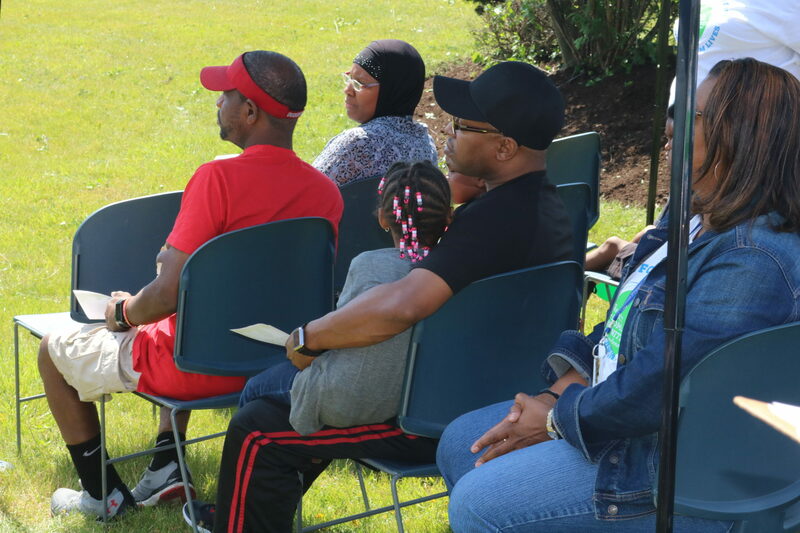 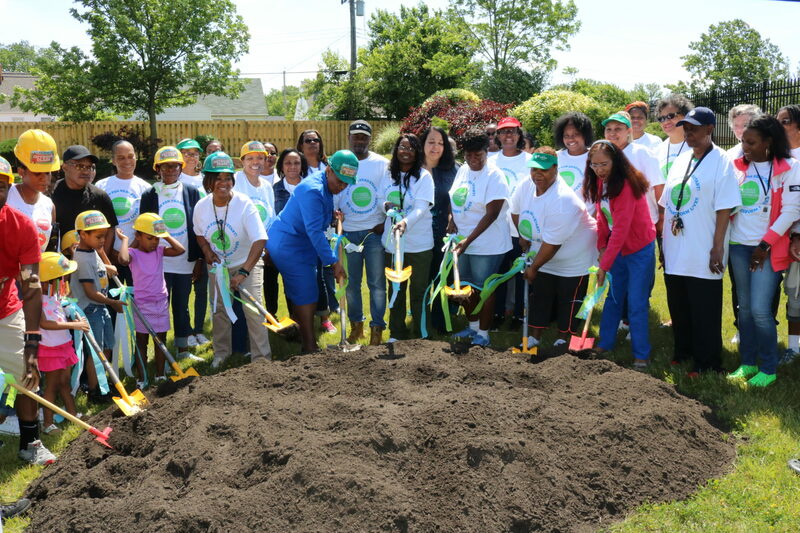 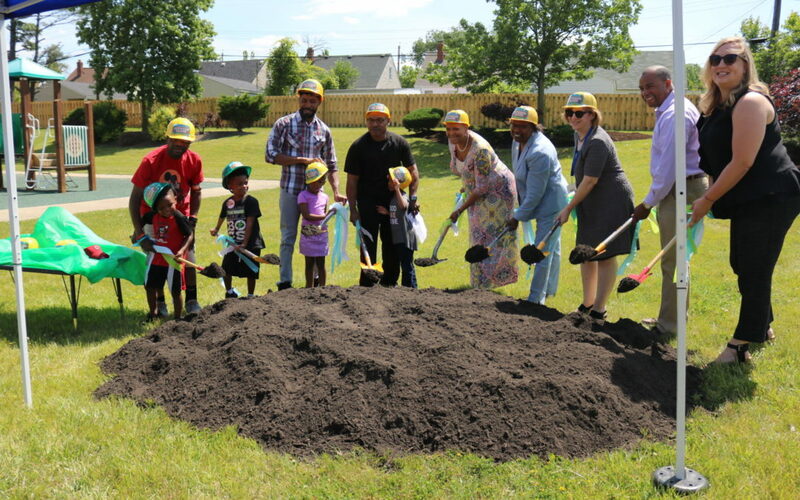 Donning hard hats and holding shovels, Head Start students, families, CEOGC employees, partners and community members broke ground on the outdoor classroom at the Louis Stokes Head Start Center. 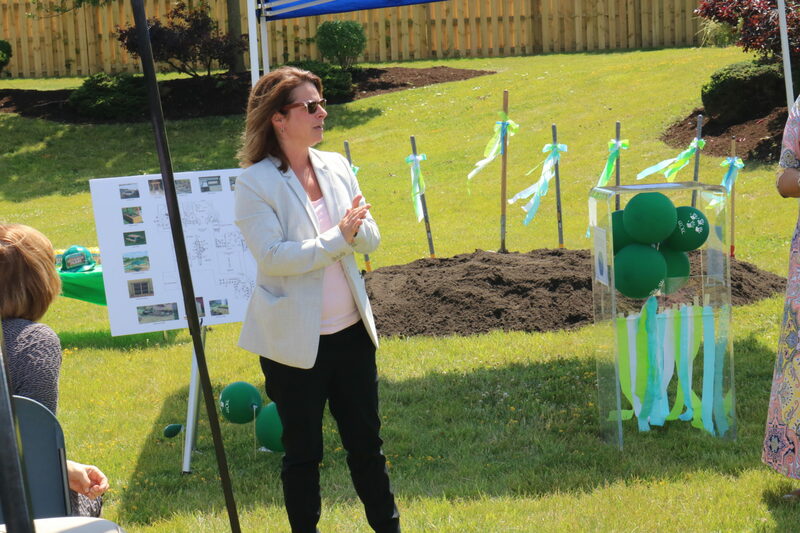 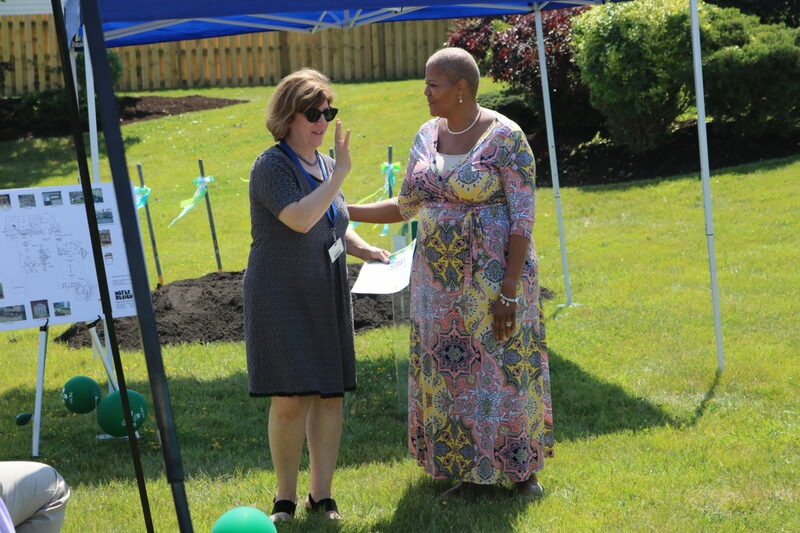 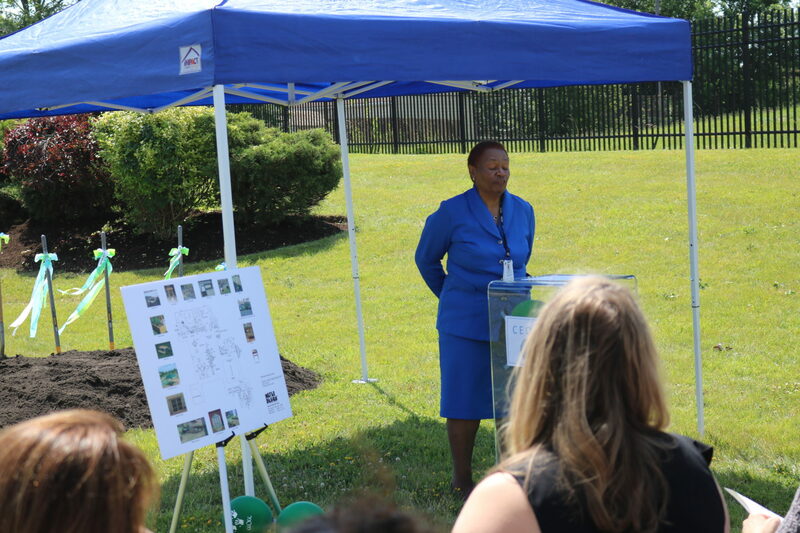 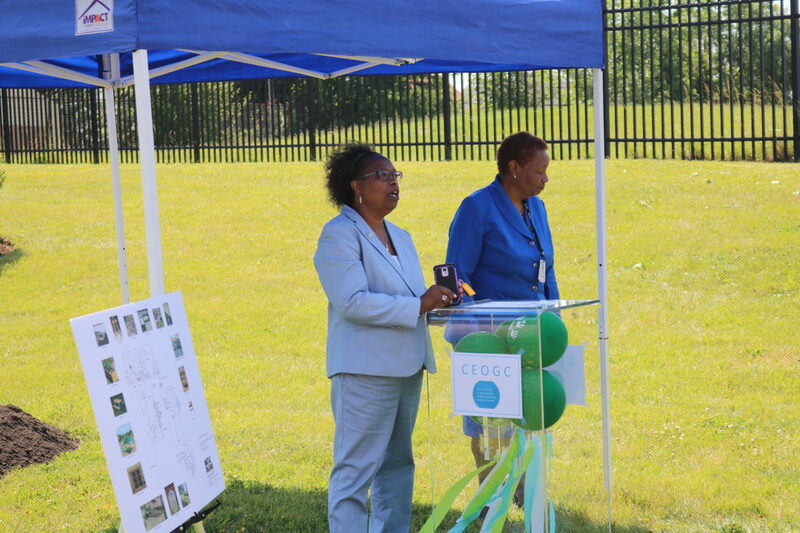 Dr. Jacklyn Chisholm, President and CEO at the Council for Economic Opportunities, and Dr. Thea Wilson, Vice President for Children and Families, kicked off the ceremonial groundbreaking with remarks to the crowd, explaining the magnitude of this space. 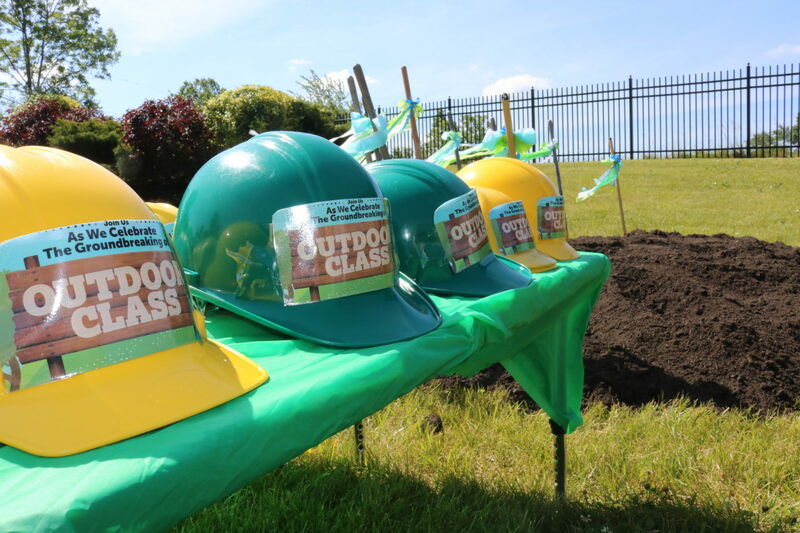 We believe the Nature Explore certified outdoor classroom will be the first at a Head Start center in the state of Ohio. 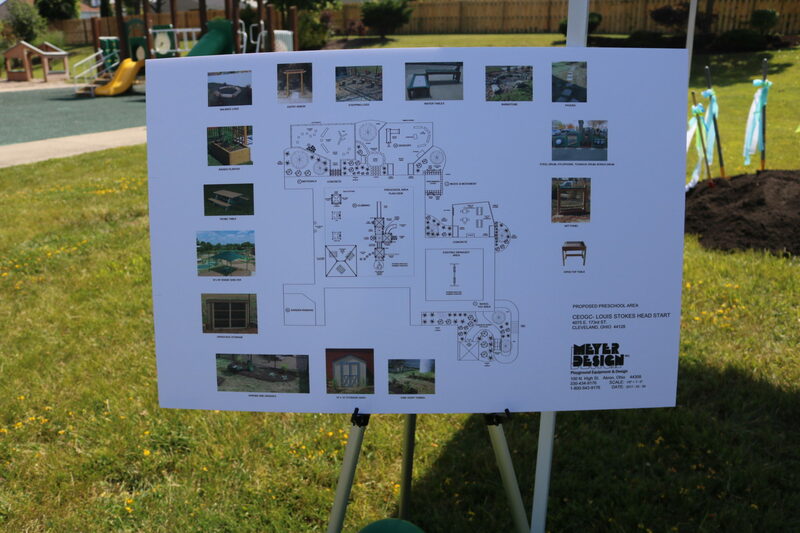 When it’s complete, the outdoor classroom will include benches and stools, water tables, a sand area, digging beds, planting areas and a musical area with an instrument and stage. 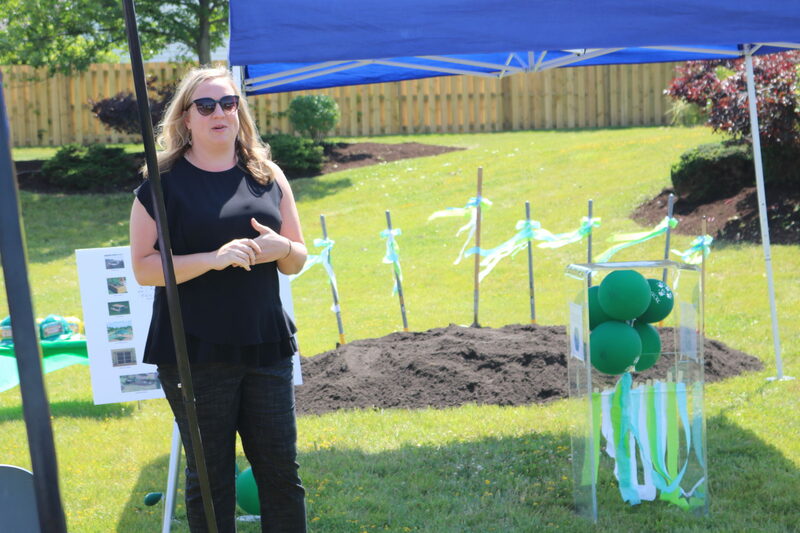 This space will encourage teacher and parental involvement and will allow students to learn in a different environment than the classroom. 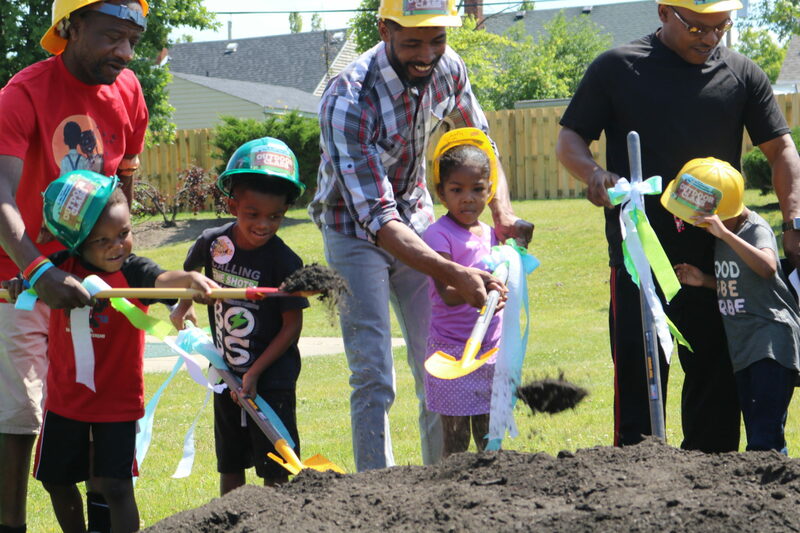 This project is made possible because of support from our partners: Starting Point, PRE4CLE and Invest in Children.